Italian extrusion machinery equipment firm Omipa is proud to have reached its 50th year in business. Omipa is owned by the Cazzani family who says that it would like to take this opportunity to thank its customers, past and present, for their constant trust and for having been an important part of their success over the 50 years. During the past few years, the Asian market has been very active for Omipa, in spite of the world economic and financial crisis and this has enabled Omipa to overcome this critical period. Furthermore, thanks to a highly specialised team of engineers and skilled operators, the firm has been able to develop new machinery for innovative applications, in partnership with its clients, as well as enhance its already consolidated range of products, in order to improve the efficiency, both with regards to quality and output. The firm, which exports almost all its output, expects a stable year, especially since it offers high performance technology, said Managing Director Fabio Cazzani in an interview with PRA recently. “The global markets, especially China and Asia, are stable, compared to Europe,” he added. “Customers are still investing and growing, especially in the niche market of optical and display sheets,” he explained. Family-owned Omipa is continuously enhancing its equipment through research and development. The constant evolution of product applications and the presence of more sophisticated materials in the market have also led Omipa to develop new technology and equipment. At the forthcoming K2013 exhibition, Omipa will present innovative equipment for the production of special profiles for the building industry. Omipa considers itself an important partner of the building industry, thanks to its large range of lines for hollow profiles in PC with different tailor-made profile geometries. These are especially useful for big coverings and infrastructures (stadiums, shopping centres, railway station coverings, logistics in general, etc). “Almost 40 years ago, we were the forerunners of the machinery for the extrusion of PC hollow profiles. Based on the experience built up with the PP hollow profile lines, in close partnership with our customers, we are now a world leader, with more than 120 complete extrusion lines delivered by us all over the world,” says Cazzani. cogging profiles, corrugated hollow profiles and “wing” panels. 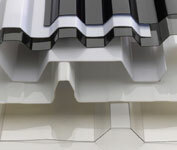 The hollow profiles can be produced with different designs for internal and external structures, hence covering a wide range and types of applications that include not only industrial roofing but also internal wall panels and roofing/wall panels for outdoor applications. According to Omipa, all this is turning out to be much appreciated by customers, "since the final product, at reasonable prices, makes it possible to execute applications to existing buildings by modifying considerably their aspect, functionality and energy savings." 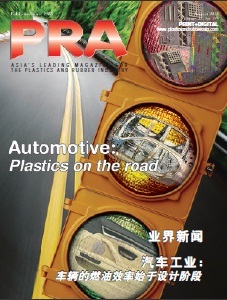 In the Asian countries, Omipa has installed several extrusion lines for the production of high optical quality sheet as well as foil and film, in thicknesses ranging from 0.3-30 mm in PMMA, PC, PET and PETG. Recently, in the field of high optical quality sheet in PC-UVPC, the firm has delivered the largest installation it has manufactured to date. The machinery is used for the production of solid sheets, with a width of 2,700 mm. Complete extrusion lines for the production of hollow profiles with a width of up to 3,000 mm, and thicknesses from 2-40 mm in PP, HDPE, PC, PMMA, HIPMMA and PET. 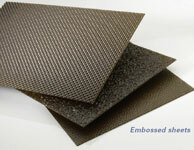 Special versions of the equipment are available for co-extruding up to five layers. Complete co-extrusion lines for the production of standard quality sheet (ABS, PS, HIPS, PP, PE, CA, SAN). Thicknesses range from 1-30 mm and widths are up to 3,000 mm. Complete extrusion lines for the production of co-extruded sheet and foil of up to seven layers and more. Thicknesses range from 0.15-10 mm (or more) and widths are up to 3,000 mm. Complete extrusion lines for the production of foil wound on reels (ABS, HIPS, PP, PE, PET). 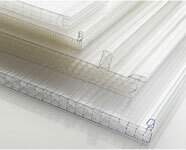 Thicknesses range from 0.1-3 mm and widths are up to 3,000 mm. 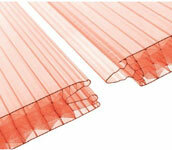 Special extrusion lines available upon requests. 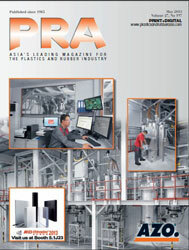 In the field of polypropylene (PP) hollow profiles, Omipa has developed the new Foam System. With this system, it is possible to reduce the final product weight by keeping unchanged the mechanical resistance features. 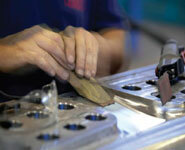 Market applications include the packaging, printing, building, electronics and automotive sectors. This system for PP foam hollow profiles makes possible a reduction of 20-30% in raw material consumption, with consequent economic savings and environmental protection, without compromising the physical and mechanical characteristics of the finished product. Furthermore, the foaming process uses a neutral gas (nitrogen/CO2), which results in a reduction in production costs as well, compared to the chemical foaming process. An absolute novelty is the new range of machines for the production of low shrinkage EVA, for the encapsulation of silicone cells for application in the field of photovoltaic panel production. Finally, the company has tested with success the production of hollow profiles in ABS, a material which up to now has not been applied in these applications. 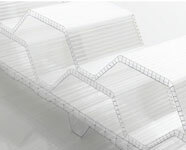 Besides making it possible to replace the materials commonly used for heavy packaging, it guarantees excellent performance even when subjected to very low ambient temperatures.